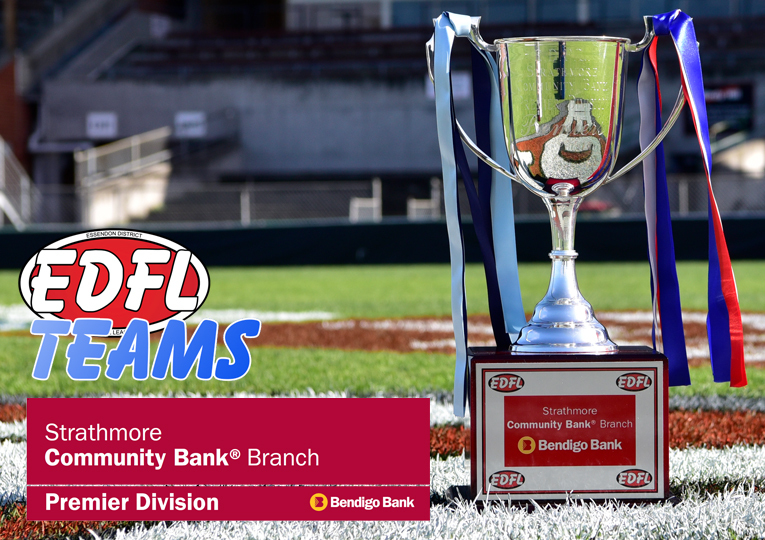 THIS is a Strathmore Community Bank Premier Division Grand Final that ticks every box. 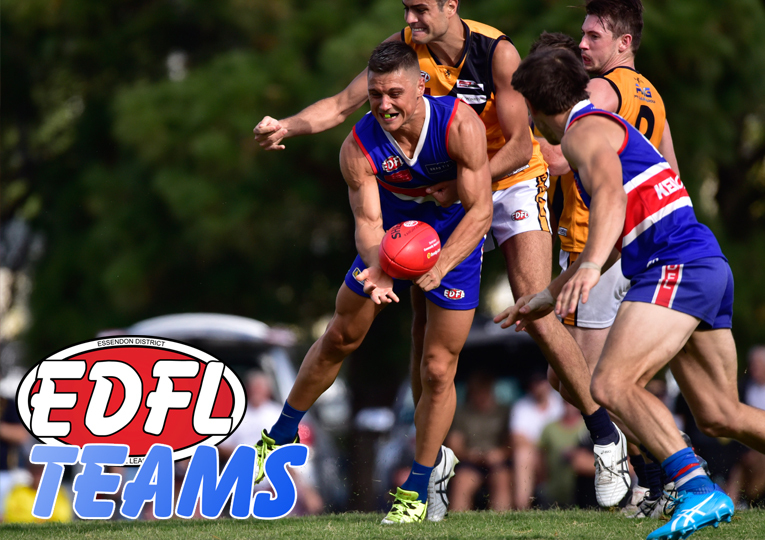 We have two powerhouses of the EDFL that boast some of the best players in local footy and two senior coaches that have already won this game twice in their decorated tenures. Adam Potter has taken Aberfeldie to the grand final in each of his four years at Clifton Park, while Mick McGuane is the most revered coach in the game at this level. Someone’s legacy will be enhanced greatly on Sunday. If Potter steers Aberfeldie to victory, then he becomes the club’s first back-to-back premiership coach and takes his overall tally to three grand final wins from four attempts. As the lead man of this current Aberfeldie dynasty, Potter’s name goes into the EDFL history books forever with a win here. Eleven years into his Keilor stint, some may argue McGuane’s already done enough to cement his legacy during his decade-long tenure with the Blues, but ‘triple premiership coach’ sounds far better than ‘dual premiership coach’. A third flag for either coach will set them apart from the likes of Brodie Holland, who coached Maribyrnong Park to back-to-back flags in 2009-10 and Anthony Rock, who did the same thing with Greenvale in 2012-13. Either Potter or McGuane will this weekend go to the top of the tree as the best EDFL coach of the modern era and given how this game is poised, the coaching battle here is just as important as any of the match-ups we’ll see on the field. Keilor’s clinical 29-point win over Aberfeldie in the 2016 grand final was largely credited to the genius of McGuane. That day, he successfully took Aberfeldie’s’ abundance of playmakers out of the game and restricted the then reigning premier to just 9.8-62 – its second-lowest score of the entire 2016 season. Two weeks ago, Aberfeldie returned that favour by restricting this year’s minor premier to its lowest total score for the year – a measly 6.7-43 at a wet Windy Hill. Ryan Allan’s job on Dean Galea was incredible, while the likes of Josh Cubillo, Luke Blackwell, Luke Davis and Nic Cattapan were all huge in a tight semi final tussle. Throw in Josh Toy’s efficiency as a rebounding defender, Zach Hislop’s cleanness across half forward and Jayden Foster’s finishing power inside forward 50 and it’s easy to see why Aberfeldie is the dominant force that it is entering its sixth successive grand final. While there were times in the middle of the season when it seemed the demise was coming, Aberfeldie’s ability to recompose itself late in the year and take advantage of its opportunities has been remarkable to watch. For mine, your form from the start of August onward is the best indicator of where you’re at if you’re lucky enough to be playing in a grand final and if that form holds true here, then Aberfeldie is the team to beat. 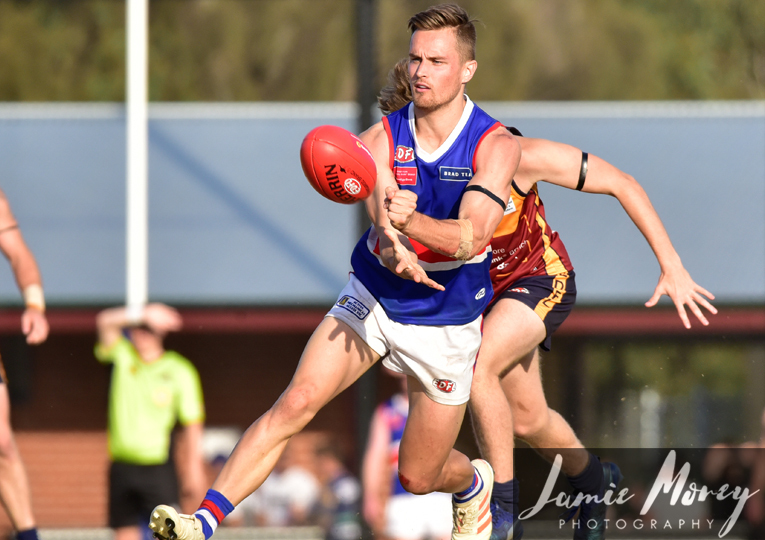 The Gorillas won their last five home-and-away games by an average of just over nine goals and played the better wet weather footy against a Keilor side that handles the wet as well as anyone a fortnight ago. So Aberfeldie is a deserving favourite. But if you ever write Keilor off then it’s at your own peril, and Strathmore painfully found that out the hard way. 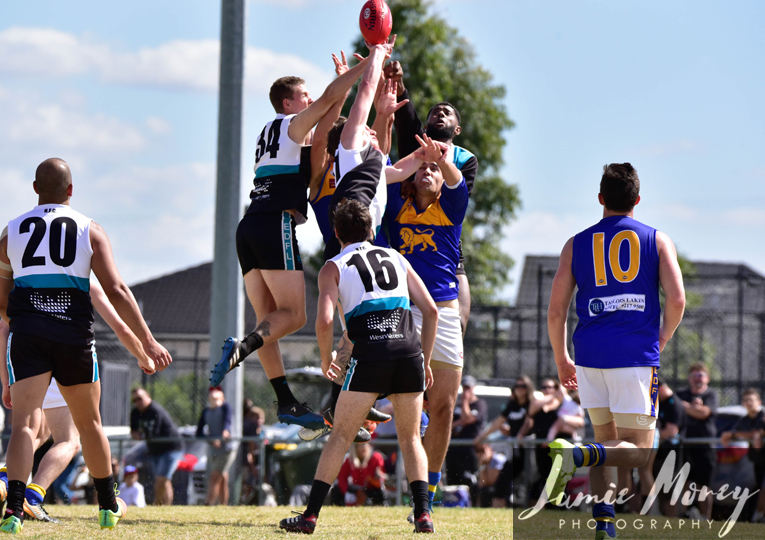 Last week’s prelim was an instant classic, with Keilor storming back from 44 points down at three-quarter time to defeat the Mores by just two points. It seemed fitting that Galea was the one to put the Blues in front, with a clutch set shot deep into time-on giving Keilor the lead. He kicked two of Keilor’s seven unanswered goals in the final term. The question is whether Allan can restrict the division’s best full forward one last time here. But Galea isn’t Keilor’s only big-game performer. Andrew Browne was the Reg Rose Medallist in 2016 and will be looking to have a big day against Courtney Johns. Browne was also one of the best players on the ground in the second semi. Then you have the likes of Ryan Hards and Josh Martin, who both finished the game strongly last week. And if Damien Cavka can get back into the side, then he’ll be another massive weapon in the Keilor arsenal. 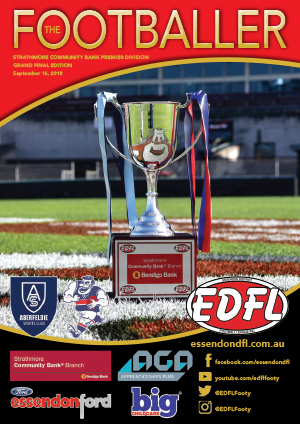 This premiership is going to change legacies forever and its fitting that it’s come down to Aberfeldie and Keilor. If you’re lucky enough to be at Windy Hill and taking this in live, then just sit back and enjoy the show. This will be local footy at its finest.